Please look at the passage. 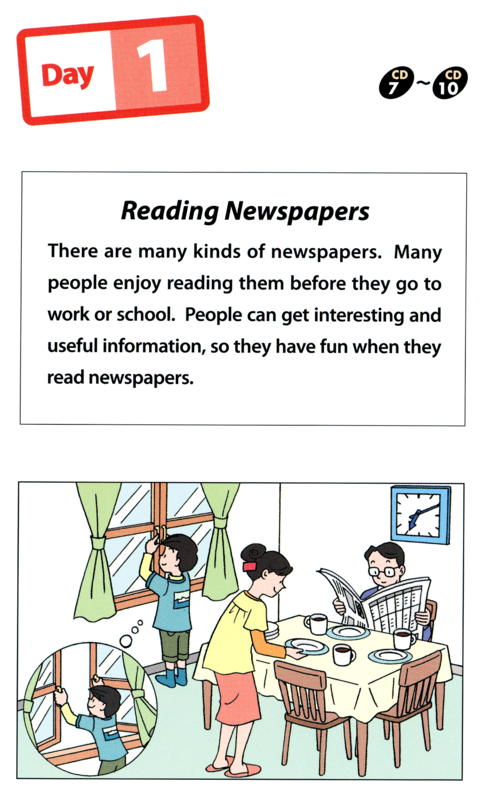 Why do people have fun when they read newspapers? Question No. 1 According to the passage, why are morning activities becoming popular? Question No. 2 Now, please look at the people in picture A. They are doing different things. Tell me as much as you can about what they are doing. Question No. 3 Now, look at the girl in Picture B. Please describe the situation. 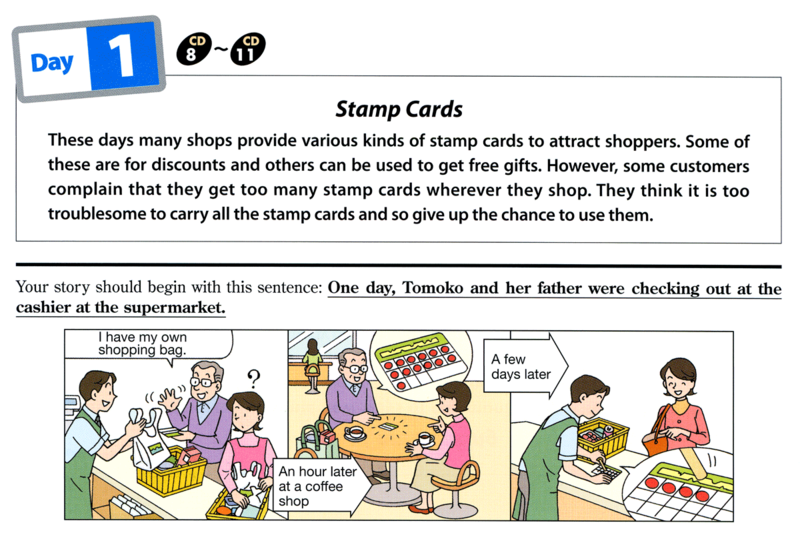 to the passage, why do some customers complain that they get too many stamp cards wherevr they shop? Question No. 2 Now, please look at the picture and describe the situation. You have 20 seconds to prepare. Your story should begin with the sentence on the card. One day, a woman was talking to her parents. Please look at the fourth picture. If you were the man wearing glasses, what would you be thinking?